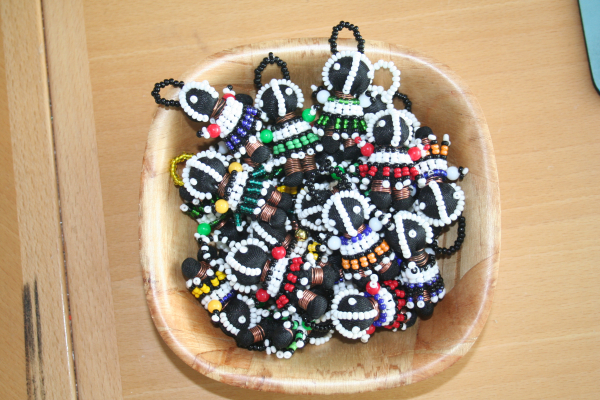 Ndebele lucky charm dolls about 3 cm tall. 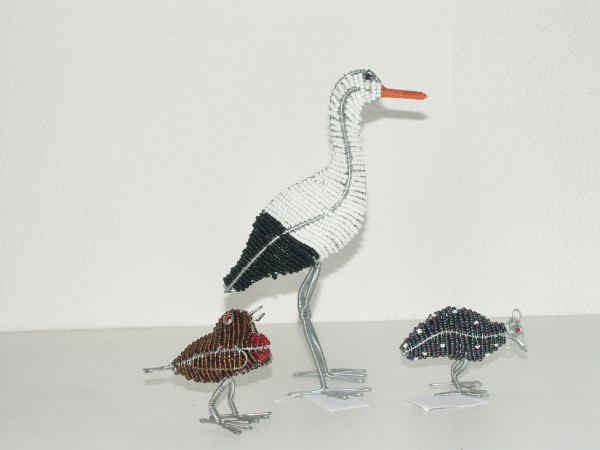 Beaded wire animals available in two sizes. 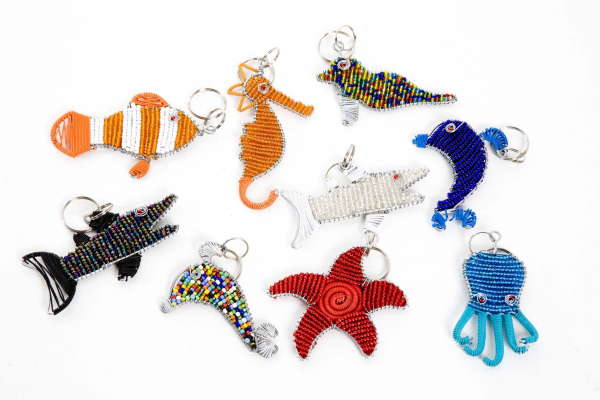 Sunglass holders made of beads. 12 different designs available. Plaese contact for availability.